Arizona Furnishings offers complete design and space-planning services with no cost or obligation. Your dedicated furniture consultant will lead the process. 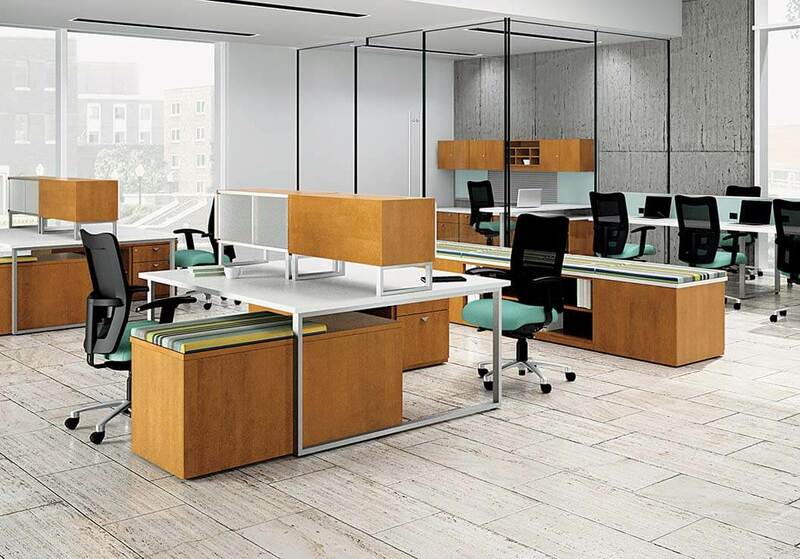 They will help you modernize your campus to today’s collaborative designs, space plan your office, select colors, and ensure consistency of product and design. The State of Arizona is just emerging from the 2009 recession. We at Arizona Furnishings have been here for you since 1996. We stuck with you through the down times, so now as funding begins to return, let’s keep our dollars in Arizona. Our dedicated year round installation teams are fully trained installers, driving our brand new fleet of trucks loaded with all the tools to complete your project. We have crews as large as 20 technicians ensuring the fastest and most accurate complete installation services available today. Trust Arizona Furnishings with your next project, we do it faster and better. The best warrantied products at the most affordable pricing. All products for all customers are available at state and nationally discounted levels. This is the best pricing available and it's all on contract. We will do whatever it takes to ensure your project is ready and fully furnished on opening day. We do what’s right every time, no matter what the cost. Arizona Furnishings continues to invest in its people and their knowledge of the best products in today’s market. We offer the products standardized in nearly every corner of the state. 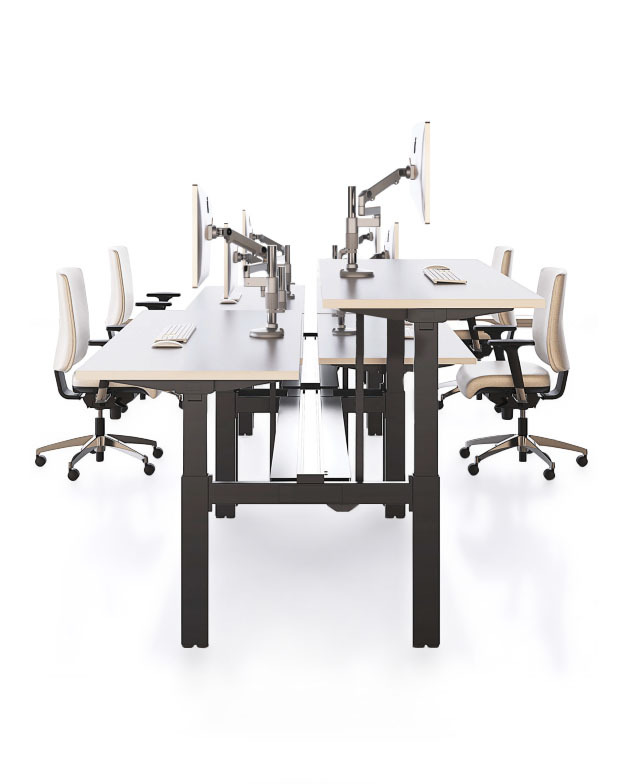 We have knowledge that is not shared by any other furnishings vendor. We will share this expertise to guide you and your staff through a modernization process. Arizona Furnishings has established themselves as the dominant player in the furnishings market. This has been accomplished through exceeding our customers expectations at every turn. Whether it be through our stocking program, furniture on demand, build and hold programs, loaner furniture, or our dedicated staffing. 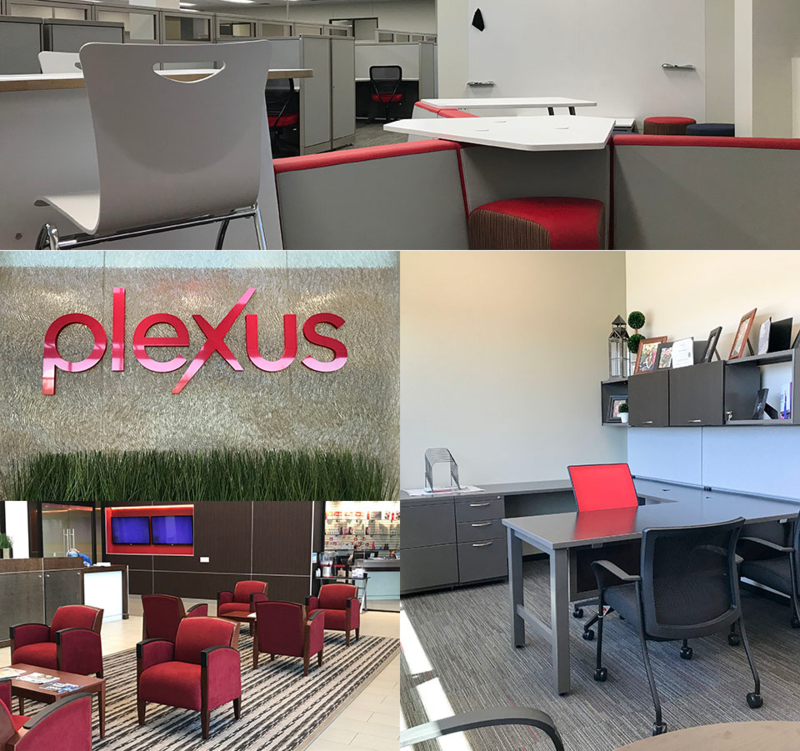 Arizona Furnishings is the furnishings contractor for companies as large as Plexus Worldwide. We have done complete furnishings projects with budgets well in excess of $1 Million and as small as one office. Either way, we offer state contract pricing on all projects. Take the opportunity to view our gallery and you may just find the inspiration for your next project. "Arizona Furnishings was selected to equip our new 80,000 sq. foot corporate headquarters in Scottsdale. They were selected based on design, price, and attention to detail. I would strongly recommend the Arizona Furnishings Team as your furnishings partner. They have gone above and beyond our expectations." Arizona Furnishings offers complete project management on all projects, large or small, at no charge. Once your order is placed, your dedicated project manager does the rest. They will work with you to ensure your complete satisfaction. They will identify furniture placement and space plan every room. They will coordinate product delivery, installation crews, and construction completion to ensure everything happens in a timely manner. Our dedicated year round installation teams are fully trained installers, driving our brand new fleet of trucks loaded with all the tools to complete your project. We have crews as large as 20 technicians ensuring the fastest and most accurate complete installation services available today. We have done the complete FF&E packages on as many as seven projects within a week. Trust Arizona Furnishings with your next project, we do it faster and better. Arizona Furnishings was established July 1st, 1996 as a family owned and operated company. Since its inception, Arizona Furnishings has made a name for itself as an industry leader providing the best products and services to Arizona’s schools and businesses. Our commitment to our customer’s complete satisfaction forms the basis of our founding principles; Quality, Value, Service, and Integrity.